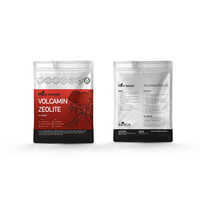 Unique animal grade VolcaMin Zeolite – Helps detox animals, remove Heavy metals from within the body, digest food more efficiently, removes mycotoxins and aflatoxins from feed. 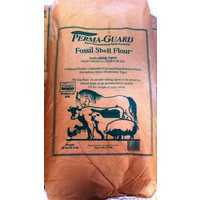 Improves health, reduces odour in feces and is easy to use. Mycotoxins are toxic metabolites that are produced by fungi that grow on a wide variety of grains and animal feeds. 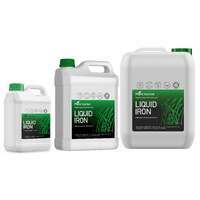 This contamination can develop during plant growth, storage and processing. The toxins that have the highest negative effect in the animal industry are mainly found in cereal grains. Several factors influence mycotoxin production such as temperature, moisture, pH, the type of feed and the number of broken grains. The main mycotoxin producing fungi that possess major health risks are Aspergillus, Fusarium and Penicillium. 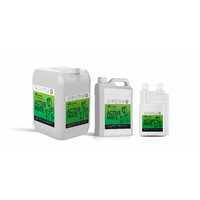 The presence of mycotoxins can cause considerable economic loss due to immune suppression and interference with feed conversion efficiency. In severe cases the toxicity causes death and reproductive failure. These toxins can also be passed down the food chain affecting humans. Considering Aflatoxin B1 is one of the most carcinogenic compounds discovered to date (The World Health Organisation), a responsibility lies with food producers to eliminate mycotoxins wherever possible. Other mycotoxins considered carcinogenic are Ochratoxin A and Aflatoxin M1 amongst others. 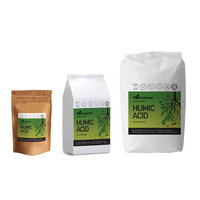 Excess ammonia in the digestive tract is toxic and detoxification requires energy. 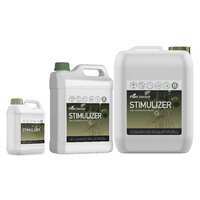 NuFeed®preferentially absorbs ammonia thereby conserving energy. Mycotoxin contaminated feeds and pastures adversely affect animal production, reproductive performance and can induce heat stress. 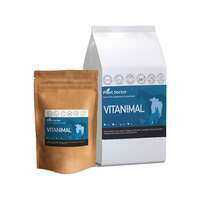 NuFeed® naturally binds mycotoxins and carries them safely through the digestive tract. NuFeed® slows the movement of digester through the animal and its reactive surface helps to maximise digestion process efficiency. 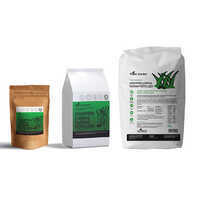 NuFeed® comes from large deposits of natural zeolite found south of Rotorua in the central north island of New Zealand. 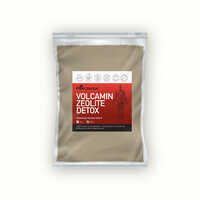 These Zeolites are derived from lakebed sediments that were deposited during intense volcanic activity about 250,000 years ago. Hot water (120°C) rising from subsurface thermal activity transformed the clays into soft rocks with ordered internal structural sequences. Being young in geological terms, they possess different performance characteristics than other zeolites that are quarried in other parts of NZ, Australia, USA and Europe. During the thermal alteration period amorphous material was washed from the clays leaving a 2D skeleton of aluminum and silica oxides, which, due to a unique configuration, have a high negative charge (cation exchange capacity; typically > 100 meq/ 100gm). 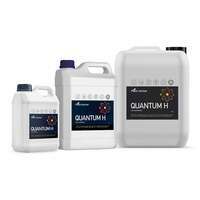 Positively charged cations in solutions (or molecules suspended in air) can be absorbed into the zeolite and, depending on cation concentration, charge characteristics and pH, can later be released. The 3D skeleton has a large internal surface area (145m2/ gm) with pore sizes in the lattice work that allow some molecules to enter and be trapped, whilst other are excluded. Geologically young zeolites like NuFeed®tend to have less blockages in the lattice work and are therefore better able to absorb more liquids than older, more glassy zeolites. 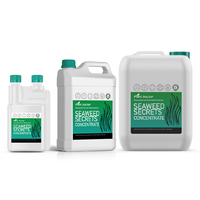 A large internal volume enables these younger zeolites to adsorb up to 100% of their own weight as water/ liquid. Studies performed to measure the mycotoxin adsorption capability of NuFeed® when added to animal feeds. NuFeed® was shown to bind toxin’s, ammonia, and other gases, aid pelleting and feed flow ability and improve mineral utilization. The first study involved an in vitro absorption assay measuring the effect of NuFeed®added at either 1% or 2.5% to an artificial gastric juice containing either 0.5g/ mL or 2g/ mL of ochratoxin A. This toxin occurs throughout the world and has shown medium binding to some commercial aluminosilicate feed additives. Results of this experiment showed that addition of 1% NuFeed® reduced the free ochratoxin in solution by 50-60% within 15 min, and by 70-80% after 120min. 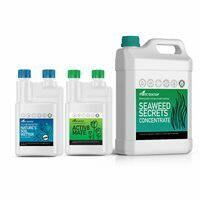 Addition of (2.5%) NuFeed® increased adsorption by removing about 80%of the free solution ochratoxin by 15min and 94% by 120 min. NuFeed® was added at 1% and 2.5% levels. 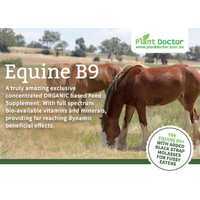 At 1%NuFeed®all free Aflatoxin B1 and G1 in solution was removed within 15 minutes and 98% of Aflatoxins B2 and G2. 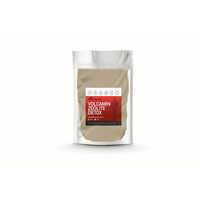 Simply mix 0.25% to 5% (w/w) with rations and feed normally. Addition rates depend on circumstances and objectives; New Zealand dairy cows have been fed as much as 1 kg NuFeed®/ day (6.25%addition rate) over summer with no side-effects. 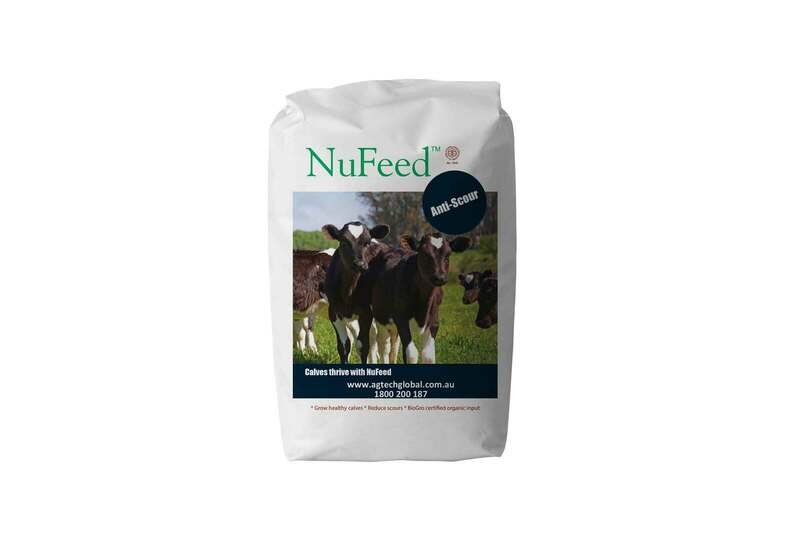 NuFeed® added to calf meal has resulted in a significant reduction in scours. 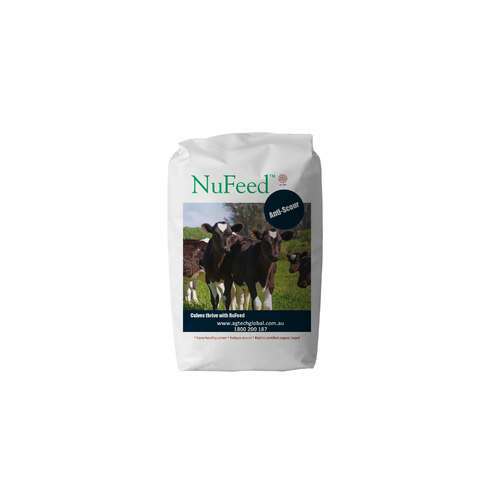 NuFeed® is an excellent carrier and can be amended to carry ration additives. NuFeed® improves egg shell quality in molted layer birds. The fine particle size of NuFeed® ensures easy mixing and additions assist pelleting processes and enhance pellet strength. 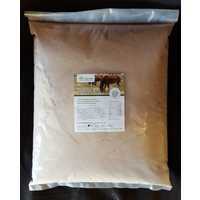 NuFeed®is available in loose bulk, bulk bags, and 25kg bags. Inclusion of NuFeed® into rations is cost effective. Please see your local NuFeed® representative for pricing.